Joining Nike’s 2019 Chinese New Year Collection will be the Nike Air Flightposite releasing in a Chinese inspired theme. This release features a gradient Pink to Purple foam shell with diamond-shaped designs while having Black neoprene covering the inner-bootie and midfoot. The same gradient effect is used on the Swoosh logo, with a praying hand graphic on the zipper. Finishing the design is a Black and Gold speckled outsole. Look for the Nike Air Flightposite “Chinese New Year” to release on January 10th in Greater China. A stateside release has yet to be confirmed. Stay tuned for updates. 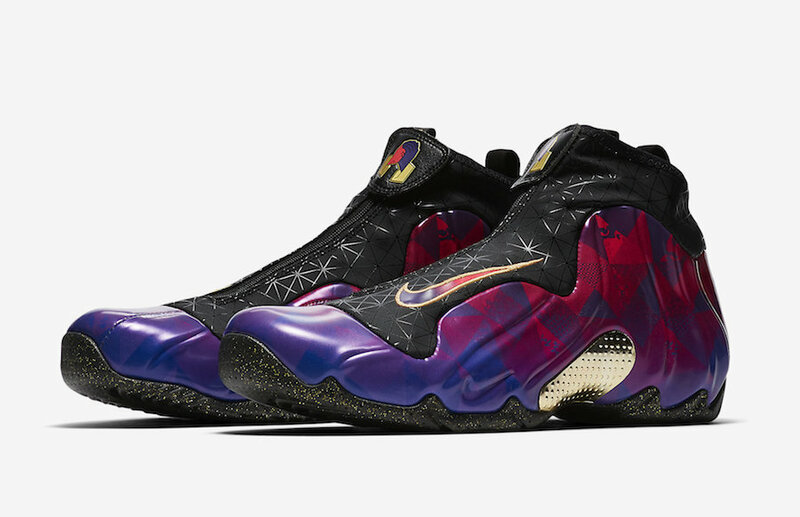 UPDATE: Nike releases official photos of the “Chinese New Year” Air Flightposite. The shoe has already released in China, but has yet to be confirmed for a stateside release. Stay tuned for more updates.